The HUAWEI Consumer Business Group launches the latest addition to its nova family, the new nova 2i at Ruyi & Lyn recently. The new device design for photography and 'selfie' enthusiasts features HUAWEI’s first quad cameras, smart ambient front flashlight and 5.9-inch edge-to-edge display. On top of that, it is engineered with 4GB RAM and 64GB ROM, the nova 2i is set to make an impression on young and dynamic consumers who lead an energetic, healthy and independent lifestyle. 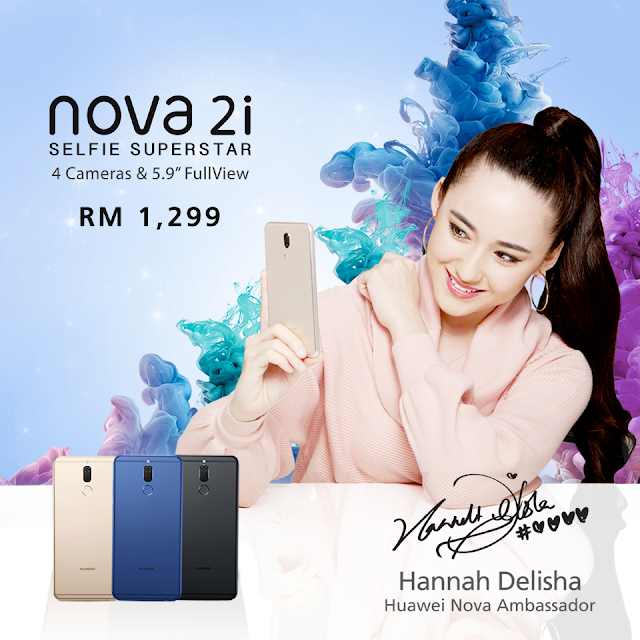 The launch of the nova 2i inked a collaboration with tenacious singer and actress, Hannah Delisha, where she performed a brand-new nova series-themed song. “I am ecstatic to be the ambassador of the nova series, representing a product that is dynamic, cool and savvy. It fits perfectly with my fast-paced lifestyle. The twin cameras on the front and back of the nova 2i enables me to capture stunning images and videos effortlessly, making the sharing-my-stories a breeze. The bezel-less display provides the perfect visual experience, giving me full visual enjoyment on-the-go,” said Hannah Delisha. Dynamic consumers nowadays are craving for a high-performance photography experience in their daily life. 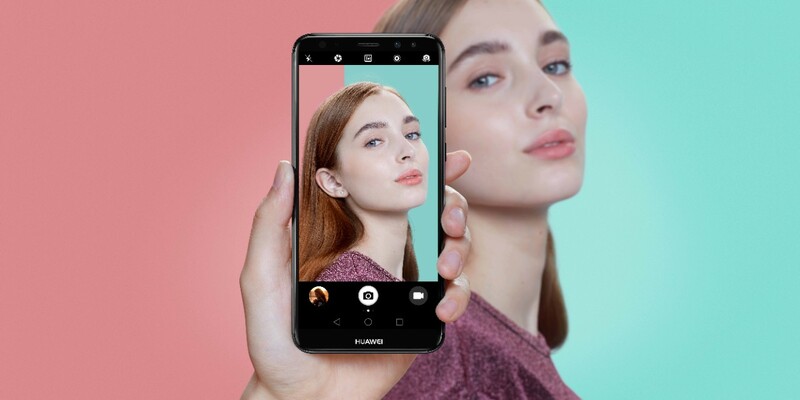 To meet this demand, HUAWEI nova 2i sets a new standard in selfie perfection and smartphone photography by introducing the HUAWEI’s first quad-cameras, meaning twin cameras on the front and rear of the smartphone. The front cameras feature 13MP+2MP dual-lenses, offering photography capabilities such as precise 3D facial technology, portrait enhancements and beauty effects. Complimented with a F2.0 wide aperture, ‘wefies’ become so much easier. The back cameras of the HUAWEI nova 2i feature 16MP+2MP dual-lenses with RGB sensors for a superior bokeh effect. 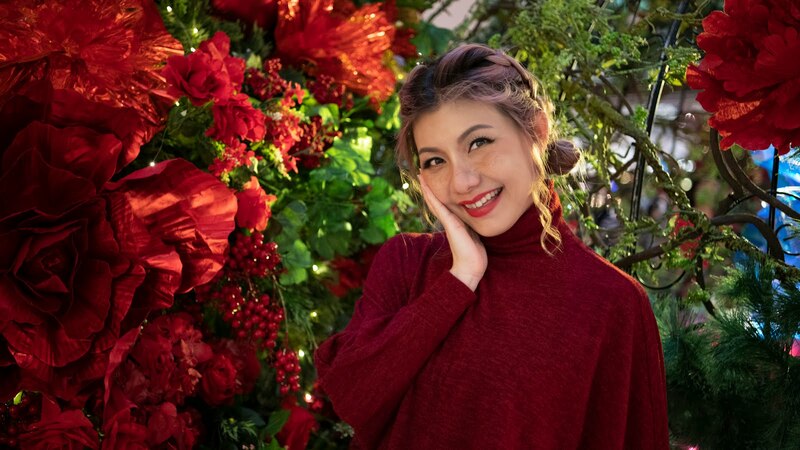 Coupled with 1.75um large pixel size, users are able to capture sharper, clearer edges with vivid colors in every shot, while the background remains blurred or out-of-focus. Additionally, the bokeh effect can be adjusted after a picture is taken to achieve different visual effects. To overcome the challenge of capturing stunning ‘selfies’ in low-light conditions, HUAWEI introduces their first smart DSLR-level ambient front flashlight in the HUAWEI nova 2i, rendering close-to-natural lighting to deliver a more natural color reproduction. It automatically adjusts the light intensity in two levels, according to ambient lighting. The 4500K color temperature sits right in the middle of the range, which is often used for indoor photography. In addition, the 120-degree wide camera projection angle optimizes best results in ‘selfie’ coverage. What’s more, the HUAWEI nova 2i is capable of taking selfies with motion control gestures. As near as 1.5 meters, your selfie can be taken in two seconds of countdown. Today’s smartphone users are demanding for immersive visual experiences. 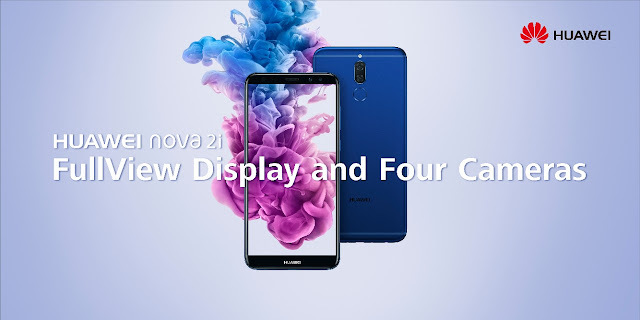 The HUAWEI nova 2i answers these demands by featuring the 5.93'' FullView display, allowing young consumers to experience more visual enjoyment on their smartphone. The bezel-less display boasts a 83% screen-to-body real estate, giving 12.5% more display with Full High-Definition at 1080 x 2160, making a ratio of 18:9. Powered by HUAWEI’s Emotion UI 5.1, the UI display adapts automatically to the new screen and auto-fits its contents, enabling users to access more space for split screens and one more row of screen real estate in home menu mode. Users who enjoy reading news or e-books are able to access more screen content while scrolling less. 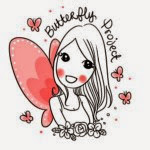 Mobile games enthusiasts will be amazed by the large and extensive field of view, which can help users attain more triumphs in each game. In addition to its cutting-edge technologies conceals a beautiful beast – the HUAWEI 8-core Kirin 659 chipset power house. Integrated with EMUI 5.1 and Android 7.0, the HUAWEI nova 2i promises a seamless smartphone experience. The high quality audio experience is made possible with HUAWEI Histen – an intelligent algorithm that includes 10 targeted modules for various effects, including 3D stereo surround effect. It sets itself apart with outstanding battery life computing at 3340 mAh, which supports up to two days of typical use. All these stunning features are stored inside an exquisite design with a smooth metallic unibody, measuring as little as 7.5mm. Each component – cameras, fingerprint sensor, USB socket, sensors and flash – is meticulously placed, on the front and back, to deliver a design that is as beautiful as it is intuitive to use. The HUAWEI nova 2i is available in Graphite Black, Prestige Gold and Aurora Blue and retails at RM1,299 nationwide. Exclusively on 13 October 2017, customers will also receive a premium gift set worth RM499, consisting of a selfie stick, a headphone and a smartphone ring holder with every purchase at HUAWEI Experience stores or Display Zones, while stock lasts. For more information on the HUAWEI nova 2i or other innovations, please visit http://consumer.huawei.com or HUAWEI’s official Facebook page www.facebook.com/HuaweiMobileMY.